As the weather warms up, so does the overall party vibe. What are your plans for St. Patrick’s Day this year? Hopefully doing some high-class drinking with your buddies as you celebrate the life of the honored Saint Patrick. Make your way out to Boston this year for a bar-hopping celebration that’ll shake the snow off your frozen winter blues. This metropolis is already jam-packed with a wide selection of top-of-the-line bars. Known for its avid nightlife, Beantown’s got the variety and flavor that you’ve been searching for in a bar scene. Make your way out to the capital of Massachusetts for a full day of raging fun as you hop your way through the city’s best watering holes. Why would you ever want to stick to one lousy bar when you can journey across Faneuil Hall visiting multiple venues throughout the day? The annual St. Paddy’s Luck of the Irish Pub Crawl is sure to bring out the Irish pride in every hearty partier. While you’re hanging out in Beantown, make sure you grab the area’s famous New England clam chowder. It’ll warm up your insides and start your day off right. After all – you’ll be drowning in some of the city’s best alcoholic beverages with your friends all day long. 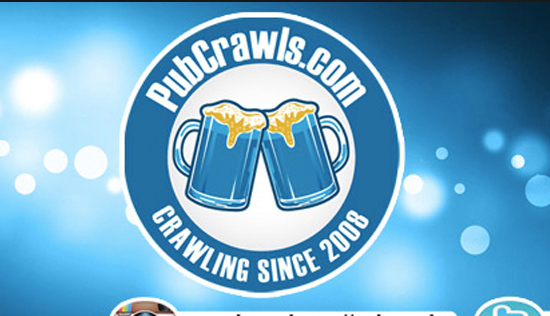 Before you boogie on out to the bar scene, check in at the registration location to receive all of the necessary materials to make your pub crawl experience as smooth as possible. We’ve got a list of participating venues, maps to their locations, and also a whopping set of drink specials to get some oil on your spokes. You’ll then be let out to the races to join the rest of the lively crowd for a shamrock-filled celebration you won’t soon forget. Dig out the green in your closets, find the old shamrocks lying around under the couch, and let us bring the St Paddy’s golden glitter to you. Once again, we’re gearing up for the top rated St Paddy’s weekend events in Boston. 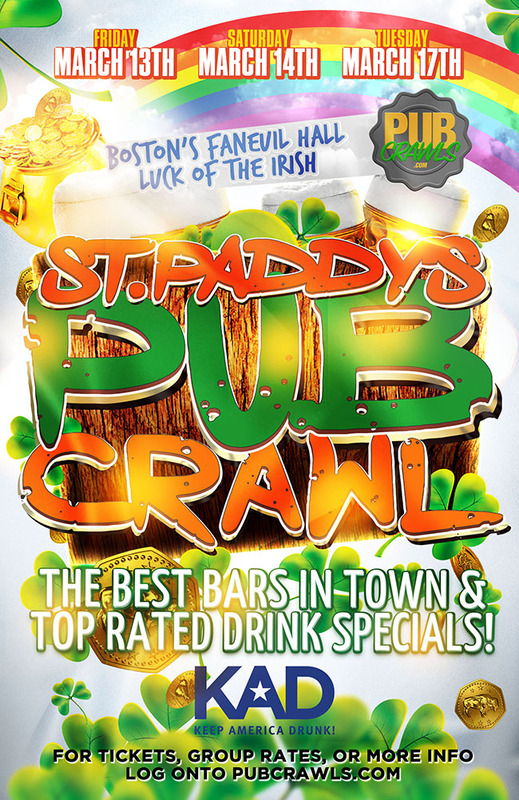 PubCrawls.com has the shamrocks, the gold, the leprechauns, and the luck! All you need is your ticket! Over 10 venues are participating including Hard Rock, Mija Cantina, Son’s of Boston, Wild Rover, Hong Kong, Koy, Side Bar, The Ginger Man, Durgin Park, and more!